The New Truth to Power - Planet Aid, Inc. Climate change is a gloomy topic. The destruction of the Earth and civilization is hardly an inspiring narrative. Coming to terms with this grim reality understandably evokes anxiety and discomfort, which social scientists tell us can lead to various forms of denial, which, of course, only makes the whole situation worse. But not everything is so gloomy or doomy with respect to climate change. 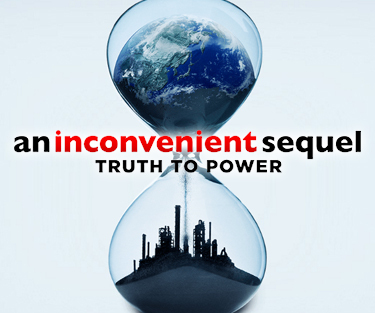 Al Gore, in his latest book (and accompanying video), An Inconvenient Sequel, Truth to Power, emphasizes the amazing progress made toward a more sustainable future. Gore offers notable examples from 2016: Scotland recorded a day where it obtained all its electricity from wind, Portugal obtained all of its power for four days from renewable energy, and Denmark generated 103.6 percent of its energy needs from wind power alone. (2017 was also a great year for sustainable power). More broadly, Gore describes how 15 years ago the best projections for growth in wind energy were that it would supply 30 gigawatts of power by 2010. By 2016, he reports, global wind energy capacity had beat that goal 16 times over! Similar claims can be made for solar power and for technological advancements in energy storage. But Gore, while optimistic, is not complacent about the future. The latter third of his book focuses on the need of the citizenry to rise up and take action. This includes doing such things as attending town meetings with Congressional representatives, writing letters, spreading the word among friends and family members, and exercising consumer power by buying sustainable products. Despite the fact the Earth can be saved from climate change, Gore points out that there is considerable resistance and subversion to derail progress. "Powerful and wealthy special interests whose business models would be severely harmed by a speedy reduction in our dependence on fossil fuels... have spent enormous sums of money to sow confusion by distributing an endless stream of falsehoods about the crisis and about the availability of solutions," he writes. Gore bolsters his claims by citing scholarly research that compares the climate change–related disinformation campaign waged by today's large carbon polluters to the campaigns of large cigarette manufacturers nearly 40 years ago, which sowed doubt about the carcinogenic effects of smoking. The current populist political movement has been more about destroying existing institutions and building walls, literally and metaphorically. Truth to Power is refreshing because its truth applauds achievements over failures and offers a real message of hope that stands on progress rather than ineffectual hopelessness. The question is: will people be able to hear this message and heed its call? Or have they become too inured to the daily scandals that mire us in conflict?